This page is dedicated towards profiling digital health companies focused on medication adherence. Included in this list are companies offering novel means of encouraging adherence via a platform for patients to use, including software, mobile technology, and hardware. Companies that are aimed at targeting MPR or related billing data are not currently included as those are geared more explicitly towards clinicians on backend utilization, and this portfolio is aimed at companies with a patient-focused feature. Included information for each company includes a background of their intervention, whether any research has been published, and targeted therapeutic areas (if any). These are companies that are utilizing proprietary facial recognization technology to determine if a patient swallowed their medication. Similar to VOT used in certain clinical situations such as for public health projects for infectious disease (e.g., tuberculosis) or in a psychiatric unit whereby a nurse or similar health professional administers and documents that a patient took their medication, but now instead of a person actually watching, the smartphone camera serves as an intermediary. The benefits to such platforms include reduced overhead for requiring health team members watch and document, and scalability to allow VOT to occur in any setting, easing the burden of logistics for the patient and health facilities involved. Other terms adopted include Digitally Observed Therapy (DOT) and video directly observed therapy (VDOT). New York based Artificial Intelligence (AI) platform targeted towards capturing when a patient takes their medications focused on clinical trials and population health therapeutic areas. The platform integrates HIPAA-compliant facial recognition and medication identification to tag a patient to drug when taken. What is really interesting about the platform is that it can detect when a patient swallows the medication (such as instances where a patient may ‘park’ or ‘hide’ a drug in their mouth for later consumption or disposal during DOT), which is a really cool feature. The data is then uploaded and can be analyzed as needed, and the video of the patient taking the medication does not need an in-between step of being reviewed due to their proprietary technology. Another item to note, most of their preliminary research focused on proving their technology has included pharmakinetic studies tying together presence of drugs in the body and the tracked adherence on their platform. Most of their initial research has included ID or anticoagulation therapy at this time. Please visit their site. This company hosts a page dedicated towards their published literature. Boston based start-up with a focus on medication adherence in population health areas (e.g., ID, opioids). The system includes a HIPAA-compliant mobile app that captures video recording of a patient when they take their medication. The video subsequently needs to be reviewed to confirm that a patient took their medication. Communication is controlled through the app with nudges delivered via HIPAA secure messages alerting the patient to take their medication. Interesting feature of the app is patients can record side effects of the drug as well. No peer-reviewed literature or in-process studies found. Case studies listed on company website. San Diego based start up focused on tracking medication adherence for population health conditions. Noted for supporting the National Health Service (NHS) Find & Treat Tuberculosis (TB)-control program (Oct, 2017). Their platform in includes patients recording themselves taking their medication, whereupon after being uploaded to a server it is reviewed by a health care provider who then documents their compliance. The platform integrates SMS and email notifications to alert patients of missed doses, and reports can then be generated by a provider to review their adherence records. Overall, most of their research and clinical areas are focused on TB, Opioid Substitution Therapy (OST), HIV PrEP, and Hep C.
Company lists a number of studies involving their platform on their website. The idea of using sensors to track adherence isn’t necessarily new, but the technology has only recently really come into its own in the past few years. It was only in 2017 that we saw the first drug with a built in sensor approved by the FDA. At this time, there are only two bioingestible sensor companies tracking medication adherence (to my knowledge at least) on the market at this time. The following profiles highlight which therapeutic areas the companies are concentrated on, and how their platforms work overall. At this time, most of these companies are using their technology for research (with capsule-enabled sensors that can contain a study drug) or trying to embed the sensor into a tablet/pill for mass consumer use. The therapeutic areas of target include specialty drugs primarily at this time - in no doubt due to likelihood of being covered by payers or other agencies. Probably best known now for teaming up with Otsuka Pharmaceuticals and bringing the first sensor enabled drug to market (Abilify MYCITE). The company lists a number of studies they have published on their website. ClinicalTrials.gov has several studies listing what Proteus is currently investigating and JAMA has some news related to the subject as well. Using their ID-Cap system to encapsulate an active drug, the cap when ingested dissolves and sends a ping to a reader that the patient wears to track their adherence. The reader is a device worn like a lanyard over the neck, and hangs over the abdomen by the patient. Overall, etectRx seems geared more towards a research niche at this time. The company does not list its studies, but Pubmed has several listed under their etectRx and those conducted by Dr. Peter Chai using the EtectRx/bio platform. ClinicalTrials.gov has several studies related to their ID-CAP system. The concept of having a pill bottle keep track of medication adherence isn’t anything new. You have the MEMS Cap which has been used in multiple clinical trials for over two decades at this point, which could let researchers know when the bottle was opened (and a dose was assumed taken). Funnily enough, there has been a home-brew market for a few years now with instructions for makers to create their own pill bottles which can easily be found online. However, the smart pill bottle market has steadily evolved and there are a number of new players on the field. Nonetheless, recently there has been a slew of studies lending some troubling views as to whether these systems accomplish their intended purpose of increasing medication adherence, which I have written about before. I stand by future research and designs may lead us to a better understanding in the next few years. Note: One feature about many of these companies is that the caps they supply may not attach directly to a patients bottle depending on what pharmacy they use. Some caps are being sold for CVS/Walgreens/etc bottles or more likely they are sending their own bottle along for the patient to use instead. Perhaps one of the most well known smart pill bottle companies, AdhereTech platform focuses on a standalone cellular enabled bottle that transmit data in real-time when it is opened. This data can then be utilized by clinicians for patient management. The system also includes SMS, phone call, and live outreach to patients depending on dose history. The bottle lights up when a dose is due, and alerts patients to take their drug with chimes as well coming from the bottle. AdhereTech markets its devices as a standalone platform relying on no syncing with an app or set-up from a patient side, and lasts for 6+ months on a single charge. Now, this is not a device intended for individual consumer purchase (B2C) but for use within health systems or research purposes (B2B). One example would be the work between Avella Specialty Pharmacy and AdhereTech to monitor adherence rates in expensive medications - which honestly seems the golden area for any digital health company focused on medication adherence these days - with a focus on oncology therapy (Link to example poster research). Most of their recent clinical work has focused on the specialty market and chronic conditions including Hep C, Cystic Fibrosis, and anticoagulation therapies. AdhereTech keeps a listing of their clinical trials on their website mixed with their press reports. A number of trials are also listed on ClinicalTrials.gov. NantHealth has a whole line of products focused on health data integration, and includes the use of a smart pill bottle. Now, the GlowCap has an interesting history, spinning out of the MIT Media Lab by David Rose. Rose co-founded Ambient Devices, which was focused on making IOT devices, and started Vitality, which was focused on the use of an IOT smart pill bottle to track medication adherence. From there, the initial premise of B2C transitioned to B2B, and the company was subsequently sold to NantHealth. The GlowCap system works with a smart cap that attaches to a medication bottle and sends alerts to patients when to take their next dose (e.g., audible alerts and the cap lid will change colors). This data can then be shared with clinicians or other healthcare members for the patient. There have been a number of trials published using GlowCaps, but no all inclusive list exists. A rather new start-up that launched in 2017, they have created two PillsyCap products focused on medication adherence. This includes a smart pill cap for prescription drugs, and a smart pill cap/bottle for supplements (e.g., vitamins). The cap is blue-toothed enabled and syncs with a mobile app. The cap will send an audible alert when it is time to take a dose, and the app will display alerts as well for the patient to see. This data can be shared with others, such as a family member. Pillsy current market includes B2B and B2C ($39.95 on Amazon). There have been no published clinical trials using Pillsy to date (Sept 12, 2018). ClinicalTrials.gov does list one study at this time using Pillsy. TimerCap is known in the industry for producing ‘low-tech’ (at least in regards to the rest of the stuff on my website) solutions for medication adherence, such as caps that fit on a pill bottle with a time until the next dose is due. Nonetheless, keeping up with the times has led them to produce the iCap. This smart pill cap attaches to the top of an amber vial and through blue-tooth connection syncs to a smartphone app to keep track of medication adherence. They also produce a wireless connected pill organizer (7-Days) called the iSort, that also syncs to the app. These devices all produce alerts via the app and device to let the patient know when their dose is due. Interestingly, it seems that TimerCap was partnered with MediSafe for a time, but it is not known if that relationship is still in place. No known research using TimerCap iCap system. Not to much on this company, but appears to be a B2C model where a smart pill cap attaches to a pill bottle (amber or white supplied by the company) that syncs with an app. The bottle sends an alarm when it is time to take the medication, and blue-toothed data is then sent to the app on a mobile device (iOS & Android) whereupon uploaded to a cloud server for family members to monitor as well. Perhaps most interesting (when compared to other devices in this area) is that their business model is focused on a subscription service, so the consumer enrolls into the platform and does not have to purchase the smart pill bottles (though unsure if cost is increased per bottle or just a set rate per user). No known trials using Medikyu. Bluetooth enabled smart pill cap that syncs with a mobile app (iOS & Android). Alerts are sent via the mobile device with the app, and the cap can send an audible alert and flash when next dose is due. Data is then uploaded to a portal for clinicians to then review. No data on how long the cap lasts per charge, and business model seems to be B2B at this time, though each unit appears to cost $39.99. No known trials using DoseSmart. Intent Solutions ‘Take as Directed’ (TAD) system is focused primarily on the opioid crisis plaguing the United States. The platform uses a proprietary medication dispenser device that syncs via bluetooth and a mobile app which tracks when a dose is taken (or you can watch this video to see how it works). It is unknown whether this device locks out patients from taking to much at a time, or rather just collects data to track patient behavior for a clinician to intervene when they deem appropriate. No known trials using TAD. Robrady manufactures multiple devices, but two are worth mentioning here. First is their Pill (yes, thats the name) smart opioid dispenser, which you guessed it, is a device to dispense controlled substances. Now, the reusable dispenser is filled and dispensed directly from the pharmacy, and has a timer in the device that dispenses each dose in accordance with the prescription. It has an E-ink display that shows times till next dose and medication information. It can currently hold up to 15 tablets. Data is uploaded to a mobile app and can then be monitored remotely. Second, their Dayamed MedPod is a portable multi-dose medication dispenser that can take strip packaged medications and serve as an electronic dispenser. It has built in cellular service so that it can connect in real-time to a database. No known trials using Robrady products. SMRxT is a company dedicated towards improving medication adherence through data analytics, and that includes a smart pill bottle, Nomi. Their bottle has multiple sensors that collect the medication weight to track adherence (e.g., Table 1 weighs 10mg, 30 tablets = 300mg, removal of 1 tablet = 290mg remaining), time, movement, and temperature. This data can then be shared with clinicians and family members. It appears the bottle is to be filled in the pharmacy and then delivered to the patient, and thus a B2B model. It does not pair with an app and uses cellular data to broadcast information to an online database. No known trials using Nomi. These companies are similar to smart pill bottles but instead of focusing on a singular medication, they organize all the patients medications on one system, and have some form of technological connection to alert and track adherence. This could include companies that have designed a smart pill box to smart automatic pill dispensers. Comparably, these devices may be more beneficial for patients with multiple medications (e.g., cost of buying multiple smart caps vs one device) or complicated medication regimens. However, many of these may require a higher cost for initial acquisition, require medications filled at a pharmacy (instead of pouring them directly into a smart pill bottle yourself), and a subscription service. Focus appears to be on B2C (Buyer to Consumer) model rather than B2B (with a focus on research) at this time by a majority of these companies. Interestingly, we are seeing a number of these companies also add the ability to incorporate drugs that are packaged into blister or strip packaging as well at this time. TowerView has an interesting system whereby a personal assistant at the company will coordinate the set-up with your providers, pharmacy, and insurance company. They will then deliver your medications in a smart pillbox. When it is time to take your dose, the pill box will chime and flash alerts, along with sending out SMS and phone reminders as needed. Patients have the option of buying the device ($399.00) or enrolling in a subscription service ($39.99/month). The difference being the subscription service also includes medication delivery and pre-sorted/packaged medications to insert into the device rather than the patient doing it themselves. MedMinder produces several different smart pill boxes that have different features depending on the situation. The ‘Maya’ version is unlocked, and can be accessed at any time, but the ‘Jon’ version is locked and only available for patients to open depending on the directions. Each can also be paired with medical alert features that can be worn by the patient. Both can be filled by a patient or have a pre-filled option from their own pharmacy that will package the medications in a blister pack. The devices are sold as a subscription service that charges per month to be used by a patient. No other published literature found other than open an open paper. Vaica produces several different smart pill boxes and packages depending on the user. The most patient specific version is SimpleMed+ which is a weekly pill box (28 compartments at 7 days and 4 times a day dosing) that can be filled manually or have a blister pack inserted into it. The doors light up when the next dose is due and audible alerts will occur as well. All of this data is captured and then recorded via a cloud portal for clinician access and review. Patients can also sync data with the companies app, Medy. Interestingly, Vaica also manufacturers other smart medication devices focused on patient assistant tools, for clinical research, and even a smart ‘liquid medication’ tray capable of holding up to 10ml per compartment (Biodose Connect) - which I have never seen before tackled by any company. Vaica keeps a listing of press reports detailing some of their research, but Google Scholar also has a few publications listed. MedSentry platform includes operations involving the patients medications being filled in a partner pharmacy into specialized containers that are then delivered to the patient. Little public information is available, but it appears that they use their own proprietary blister packaging to sort a patients medication. These then are stored in a smart dispenser that alerts patients when to take their medication. The patient then pulls a lever and the medication is then dispensed in a dose cup for them to take. Another option is to use an app to scan the dose cap to determine they took their medication, and these two options are interchangeable depending on the dexterity the patient possesses. All data is then uploaded to an online platform for caregivers to monitor. Only one publication in heart failure was conducted and published. A B2C company that sells a smart medication organizer for patients for $279.00. The system is rather unique, in that it uses a wirelessly connected hub (which will light up and send audible alerts when doses are due) in the home that patients then scan their medication cup (that the patient pre-fills on their own) to signify they are taking the correct dose. The cups are arranged in rows of 7, and there can be as many rows as the patient desires (e.g., BID vs TID vs QID dosing schemes). This also makes it easy to transport the medications for travel. Additionally, stickers/tags can also be placed on other medications that would not fit into a cup (e.g., injectables, inhalers, topical medications), which can also be scanned to track adherence patterns. Lastly, patients also have access to a 6 sided cube to track their mood. This data can then be shared through an online access point for others to access. Patients also have access to a mobile app and will receive weekly report cards on their adherence. No publications or studies identified using the PillDrill system. Currently not much information is available about the CuePath platform, but in essence a sensor is applied by the pharmacy to the patients medication compliance packaging (e.g., blister packs), which will detect when the patient removes a dose. The sensor will create alarms to remind the patient to take their next dose. Other alerts can be sent to patient providers or caretakers as well. Data is then recorded in realtime for review. No publications or studies identified using the CuePath system. Currently their website is updating and little information is available. But based on past media it appears that it is a smart pill dispenser that can be pre-loaded with medications and then will send alerts when to take the medication dispensed. It syncs with an app, that will keep records and let you know when you need a refill. Currently unknown if medications are loaded by a patient or from a pharmacy. No publications or studies identified using the Hero system. Strip packaging smart dispenser that syncs with a mobile app. The compliance packaging is prepared by a pharmacy and sent to the patient to be loaded into the device. When doses are due it will send alerts directly through the device and synced mobile app. Adherence reports are collated and can be shared. Currently it seems the pharmacy has to prepare the cartridge. The system is currently available in Canada, and the service cost $60/month. No publications or studies identified using the Karie Health system. An automated smart pill dispenser that can hold up to 15 different medications. When a dose is due, it will light up and beep for a patient then to get their medication. The device supports up to 90 days supply - and based on the video has the patient fill each container which seems to be a 90dram vial in size. You can rent the device or buy for $1,999. Missed doses will send alerts to the patient through SMS and email, along to caregivers. All information is managed through a web based portal. No publications or studies identified using the Livi system. I may end up removing this, but Phillips created the Medido, which was a smart home strip-packaging dispenser. Now, they have had some press with this system in the past few years (and their app is still available on iOS) and images circulate online, but recently they teamed up with Spencer Health Solutions (see smart home medication dispensers) and I have not heard anything lately, so this may be a pivot for development from Phillips. For more information see their white paper. No publications or studies identified using the Medido system outside their press release. A rather different approach, as the uBox is a standalone smart pill box that doesn’t take any compliance packaging and doesn’t look like any traditional pill box on the market. Rather, it is round device which holds individual doses of medications inside and then dispensed when a dose is needed. A nice feature is that it can be locked so others cannot access the medications unintentionally. Data is synced with an app to keep track of adherence rates. Unknown if their business model is B2B or B2C, and how many doses of medications the device can hold. No publications or studies identified using the my-uBox system. At this time, there is little information provided on the PillPresso, a Singapore based company. Based on the companies public information, it appears to be a ‘personal medication device’ that can sort a patients medications, [assumed to] dipsense the medication to the patient and track their adherence via an online portal. The best information I could pull about the system comes from a news article that details it as a home-based medication cabinet that sorts the medication and can allow for changes in therapy via the online platform based on the provider notice. It can sort both loose medications or those in compliance packaging or liquid form. No publications or studies identified using the PillPrresso system. A traditional smart pill box design with a unique flair, it wouldn’t be hard for most patients to recognize it for what it is. Each pill box has a pullout compartment that stores the medication (which looks to hold a decent amount of tablets/capsules). Based on their company website, each pill box is meant for one dose a day, and if you have multiple doses then you need multiple boxes. One box would run $74.99. The box has bluetooth connection, and data is uploaded via an app. Caregivers can be notified if a patient misses a dose and reach out to check-in. Currently at B2C model. No publications or studies identified using the Tricella system. Maybe you’ve seen it on Indiegogo, but the MediAlarm is a round pillbox that (unsuprisingly) holds a patients medications and sends out an alarm when a dose is due. The website states it is designed for patients who take medications up to three times a day (TID), but unsure how many medications it can hold at a time. Currently at B2C model. No publications or studies identified using the MediAlarm system. Another device that made its start on Indiegogo that raised over $160K for a portable smart pill container for a more modern look. I can understand this, as the device itself does not look like a traditional pill box, and for those that may be conscious of carrying a pill box this could be a more sleek look. Now, the box is a little different in how it works compared to other companies products, as a patient would dump an amount of pills or supplements into the tray (which has 7 compartments) and then when a dose is due the compartment would light up for the user to then remove. All data is synced to an app, which can program the box and keep data records of adherence. Currently at B2C model with each unit running $119.00. No publications or studies identified using the Ellie system. Ok, this is the final product I am going to mention that was hosted on crowdfunding websites (at least in this section…). Tinylogics has an interesting history, starting off creating individual smart pill containers for on the go use, called a Memo Box. However, they have expanded, and now each Memo Box can be stored in a case and can be used for each day of the week. All the Memo Boxes sync with an app to provide alerts and track adherence. The app can also serve as a pillbox locator if you lose it. The company currently operates on a B2C model, and sells multiple versions of its Memo Box, including mini to deluxe versions. No publications or studies identified using the TinyLogics system. Take your home voice assistant (e.g., Google Home, Amazon Alexa) and imagine it had a baby with a smart pill organizer, and then you have these new devices that are entering the market. It probably comes as no surprise that entrepreneurs have explored how to integrate home voice assistant programs or similar virtual technology into a medication adherence platform, as there have already been discussions about Amazon Alexa serving as a tool to remind patients to take their medication at home. The benefits to these platforms is that it could expand patient care beyond just dispensing and tracking adherence, but also as another level of patient engagement, capable of answering questions or serving as a hub for patient support. Most of these platforms also work by using compliance packaging solutions (e.g., strip or blister packaging) or having the patient fill them manually. So that being the case, the following are devices that are both a medication dispenser and have some virtual integration with a teleservice, AI, or voice assistant. Overall, we can regard these new devices as a sort of digital wellness coaches in the home. Getting alot of of press for raising over $100K on Indiegogo, Pillo is perhaps one of the best known robotic home medication platforms coming to the market at this time (perhaps in no small part due to its googly eyes). 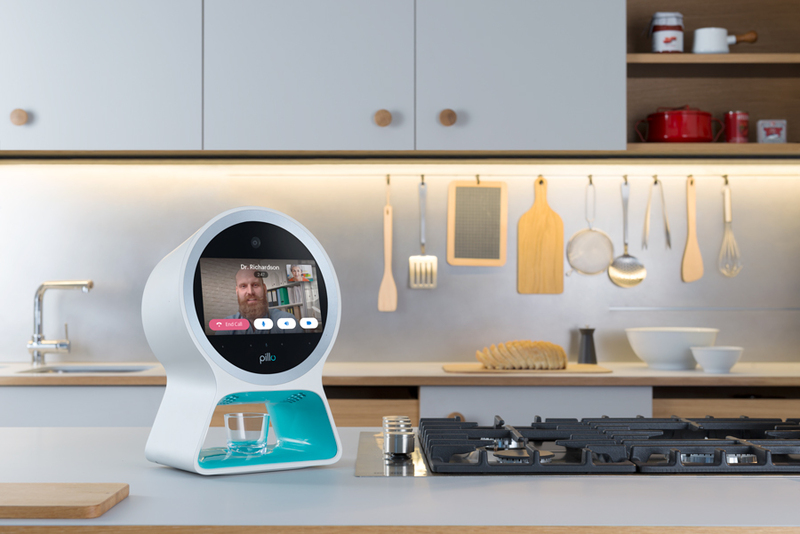 Based in Boston, MA, this companies home medication assistant robot is built with a medication dispenser (pre-loaded by the patient), a camera and video interface, and voice assistant. Not only can it remind and dispense medications to patients, but also answer questions and play music. Currently it is expanding its services so it is unknown what therapeutic areas they are targeting, but based on their website they are looking for partners ranging from PBM, pharma, and others. 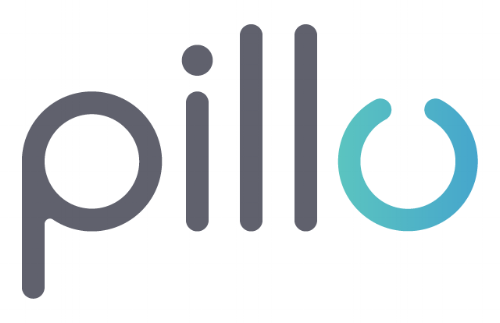 Lastly, Pillo allows integration of other health information collected from mobile apps and wearables to monitor health endpoints (e.g., calories, dietary intake). There is no current publications or studies related to the Pillo system. Seeking to enhance patient engagement surrounding medication adherence, Catalia Health created Mabu, a home robot that can interact with patients throughout the day. The platform seeks to understand patient behaviours and personality in order to better fit their needs and create helpful nudges for health purposes. Mabu can be used to tackle diseases and specific needs of a patient based on their medical history, and communicate with their health team. Now Mabu doesn’t sort or dispense pills to patients, but managing adherence seems to be one of its main purposes so I have it on this list. There is no current publications or studies related to the Catalia system. Spencer is a robot smart pill dispenser that uses pre-filled strip packaged drugs to alert and give patients their medications in the home setting. Focused on their ‘Circle of Care’ with the pharmacist playing a large role in preparing and coordinating medications for the patient using Spencer as a hub in the patient home for medication management. While Spencer doesn’t have an AI or similar built in, it does incorporate communication with a pharmacist through the system, and allows outside data to be collected and uploaded (e.g. blood pressure, SMBG data). Spencer has also recently partnered with Phillips as well, which seems to go along with Phillips earlier Medido design. There is no current publications or studies related to the Spencer system. This company has created the RxPense, perhaps one of the largest in home smart medication dispensers I have seen. The platform essentially dispenses blister packs (compared to strip packaging) and as such uses a large drum machine to store the blisters. While the machine will play sounds/music/pre-recorded audio and other alerts to remind the patient to take their dose, other features on the machine make it shine. It can store medication informaiton, and supplies contact information with the patients health team, and can allow video/tele-conferencing through the device. No publications or studies identified using the MediPENSE system. Behavioral economics is an interesting thing, with multiple studies suggesting that rewarding patients financially could help lead to healthy behaviors (e.g., smoking cessation). Taking that into consideration, paying patients to take their medication seems a no brainer. Currently, many of these companies are testing their platforms within health institutions so it has yet to be determine which platform is yielding the ‘best’ result in improving adherence. Most of these companies are based around a mobile app at this time, and despite not being hardware focused, due to the type of intervention I am placing them here (as I have no intention in creating a list of medication adherence apps at any time - there are just to many). A new company based in NYC that pays patients to take their drugs (kindof). In essence, the platform works whereby a patient enrolls into the Wellth system, and everytime they are to take a dose of their medication, they use the Wellth app to verify they took the drug (by scanning it). The mechanic is that the patient will be given a set amount of money to be adherent for a set time, and failure will lead to lost money (essentially loss incentives). Currently the company is focused on chronic disease management and post-discharge care. Sempre takes a different tactic to encouraging patients to be adherent. Patients are enrolled and receives a discount code that will lower the copayment of their drug at the pharmacy - as long as she fills on time. The patient will not be penalized if they refill late (in other words the copayment will not be higher than covered), but the benefit is that on-time refills will be rewarded, with he assumption that a patient that picks up their drug may be more adherent. Sempre states they have internal data showing the value of their program but no published literature. Perhaps the oldest and most well known company in this category, HealthPrize has been around since 2009 and has raised over $13M for its platform to get patients adherent and informed. You see, their platform works on a gamification scheme where patients are to aim for streaks of habits (e.g., taking their medication) and will receive an award. Additionally, patients can also engage in medical learning to increase their health literacy, making this platform a bit more holistic. The company lists a page dedicated towards their research as white papers. A free app that patients can use to organize and keep track of what medications to take on a daily basis. The one item about this app that sets it apart is the gamification mechanic that rewards patients with store coupons and gift cards the longer they are adherent to their therapy. No research was found using Mango Health. An Australian based start-up that has created a program that uses a combination of behavioural science and consumer tactics to engage patients and promote positive health habits like medication adherence. This includes engaging gamification, memorable rewards, intrinsic challenges and a supportive patient community all to motivate patients to their best health. It seems their system works by randomly rewarding users for continued documentation of their adherence after demonstrating some period of adherence with the system. Currently engaged in an 12-month RCT with the University of Sydney. While most of the earlier platforms discussed have focused on oral medication therapies, there is ample room to use sensors and other digital technologies to assess adherence in different drug delivery devices. Injectables make up a large part of special medications amongst patients, especially those patients that use insulin or biologic therapies. With that in mind, the following companies have created smart injectable devices that are standalone or attach directly to an injected drug product to track adherence. I am not including timers or low tech solutions at this time and only those that integrate the data widely and can be accessed and shared with clinicians for medication management. Note: One company worth mentioning that kinda fits here is HealthBeacon, a Dublin based start-up that has a Smart Bin that can track adherence with injectables when the needle/syringe is disposed. Lastly, I have not included smart pens from pharmaceutical companies at this time (Such as what Eli Lilly is currently doing), I may come back and update this after those products get further along and enter B2B or B2C markets. The Insulog was launched on crowdfunding site IndieGoGo, raising more than $45,000. The snap-on device, which costs $199.99, goes on the end of the insulin pen and keeps track of how much insulin is injected. This information is paired with a mobile app and then serves as an electronic diary. The app can also incorporate data from other devices and data such as blood glucose levels collected from another platform. No identified research or publications. San Diego-California-based Companion Medical's sleek InPen uses insulin cartridges. The InPen, which costs $665, offers data reporting, a built-in temperature sensor, a dose calculator, and a dose reminder. All this is paired with an app for the patient to access. The InPen has received FDA approval and is only available in the United States. Patients need a prescription for the InPen to get it via mail, though some insurance plans may cover it. Common Sensing of Cambridge, Massachusetts, is focused on creating smart devices, and the GoCap is its first product. The smart cap goes on the insulin pen, replacing the existing cap, like the InPen. The GoCap also tracks insulin dose and temperature, provides reminders and reports, and has an app to keep track of everything. The GoCap also keeps track of the amount of insulin in a pen. In addition, it has a sensor that monitors how much insulin is depleted out of the clear side of the pen that it covers. The GoCap is in Beta testing. German based company that produces the SmartPlus Insulin Pen available in the EU under the name Pendiq. Insulin cartridges are inserted into the device, and an LCD screen tracks units of insulin administered which is uploaded onto a cloud platform and syncs with a mobile app. No studies or publications identified. DiabNext produces a line of digital health devices in the diabetes space, including a smart pill monitor, a carb counter, and blood glucose monitor. However, I have put them here due to their smart insulin monitor called Clipsulin, which as the name infers, clips onto and insulin pen. As each unit is dispensed, the device syncs with their mobile app (DiabNext) to keep track of insulin administered. No research noted at this time. Based in Germany, the company makes a smart insulin pen that takes insulin cartridges, but it runs on the EYSTA platform, which allows those with a mobile phone to have an application to track data. Those who do not have mobile phones receive a home device that can export that data to an online cloud database for providers to have access to and use in patient care. It is a novel system and seems more clinically focused on patient management than the other products. The product is not available in the United States, however. Their webpage lists more on the science of their product. Not to be outdone on just smart devices for injectables, there are also companies looking to track adherence with inhalers on the market. This sector is rather interesting as it has slowly matured in the past five years and now we see a few companies that have now carved out this market niche for themselves. The most obvious use of these products has been disease management for Asthma and COPD (e.g., a patient starting to overuse their SABA may be worth investigating). Now, some of these companies could just as well be classified as DTx (due to the disease management side), but since they deal with medications they are on this list. Note: Several companies such as 3M, Amiko (though this one has some interesting press and partners with Teva I may end up changing my mind), and Hewlett Packard Labs have created/designed smart inhalers but due to no current B2B or B2C model are not included in this list. Originally called SmartInhaler, but changed their name, this New Zealand company has been in the smart inhaler market for over a decade. Their market is B2B focused on clinical trials, but lately has moved into the B2C market with their new product line called Hailie. They produce sensors that inhalers are inserted into for almost every inhaler on the market at this time. Users activate the sensor when taking their medication and data is captured and uploaded for clinical review depending on the setting (e.g., research, public health, medication management). Again, publications noted under Adherium and Smartinhaler name. Getting alot of recent press related to their use in clinical settings, Propeller Health manufacturers a number of sensors (think of them as buttons) that can attach to multiple inhaler types (e.g., Diskus, MDI, Respimat) and when pressed will send a record to a mobile app on the user smartphone to track adherence. The app also keeps a daily forecast to alert patients to when they may need their inhaler. Data is uploaded in realtime for review by relevant parties for clinical management or oversight. See their webpage on selected research. Cohero produces a line of sensors, the HeroTracker, that attack to MDI and Diskus inhalers to track medication adherence. The data is collected and then uploaded to an online database for access by clinicians, researchers, or insurance companies - while patients can review their data on a mobile app. They also produce a smart spirometer as well. French based start-up. I cannot fully read French so their website was a bit of a mystery so relying on the information gathered from their Indiegogo campaign. The device attaches to an inhaler that is supposed to fit all MDIs (so SABAs). A LED will alert patients when they are to take their next dose along with their mobile app. It has a buzzer to alert you where it is in case you lose it. Interestingly, the app will track pollution or pollen levels to alert you when you may need to use your MDI. Appears to be a B2C company. No identified studies or research. Formerly Gecko Caps and since acquired by Teva Pharmaceuticals, this is a smart cap that fits onto an inhaler that can track medication adherence. Users and clinicians can monitor medication adherence through an online platform and app. Currently unsure what type of inhalers are covered under their platform. Clinical trial listed on ClinicalTrials.gov. I was a bit flummoxed when starting to make this section. You see, theres a number of companies creating devices that can track removal of medications from a blister pack that drugs are sometimes dispensed in. The thing is, in the US, most drugs come in an amber vial, but overseas many drugs come in blister packaging for unit-dosing. But, there are a few exceptions exist in the US, and the biggest one is oral birth control (which was argued to help increase adherence and other therapeutic reasons). So, while many of these devices could theoretically be attached to any blister pack (e.g., ibuprofen, PPI, vitamins), they are currently being marketed towards the oral birth control market. So, with that being the case, this list includes any such sensor to attach to blister packs to track birth control medications as a main purpose by said companies. A rather unique device, called the Popit Sense, that clips directly onto the blister pack. The device syncs with an app that alerts you to take your medication. The device (using proprietary technology [movement, touch, sound]) can then detect when a tablet was removed from the blister pack. Popit has completed some clinical research using their product. A smart blister pack container in which a patient would insert their birth control blister pack to track adherence. The device will sync with and app that will let the patient know when to take their dose and keep track of adherence. The device can then detect if a medication has been removed from the blister pack. No research or publications were found related to the Aavia system. Please note, this list of companies is based on my personal search through the published literature and through the web (e.g., news, media, top hit results) and may not be all inclusive. As such, if you have any information or clarifications to provide, please do not hesitate to contact me. If you are a company that has entered this market, and have an available product (B2B or B2C) please let me know and I will add you. I also welcome companies to contact me if they want me to upload any images or videos of their product in action if they feel it would help a reader better understand their company product.